These young man makes a powerful fashion statement in his suits, I love the writing on the wall. This image is done with off camera flash, it adds drama and makes day look like night. 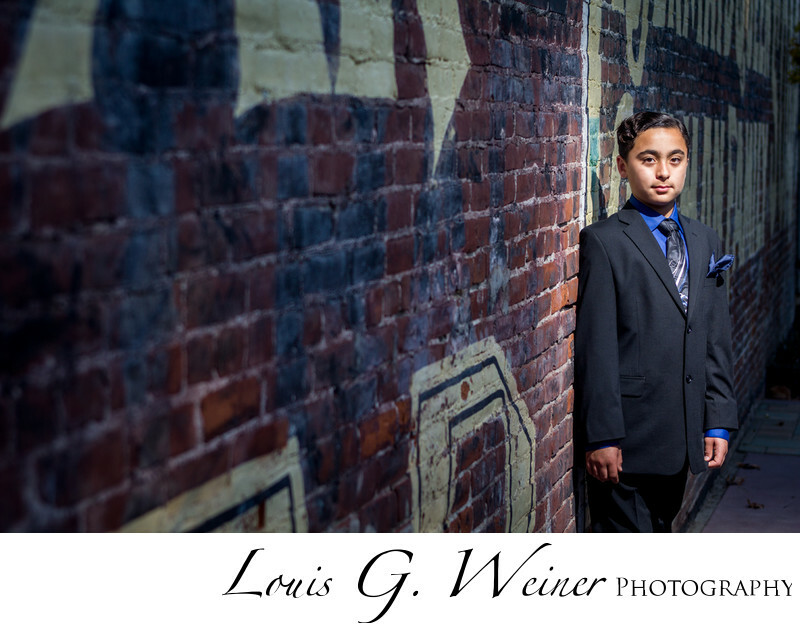 We did these pre Mitzvah images in the young man's home town of Redlands, places that have meaning to the subjects make for more memorable images.